COUNCILLORS and residents are joining forces to create a new political party in the South East of the district. South Elmsall town councillor Wilf Benson - an independent - claims he wants to make the area more democratic. 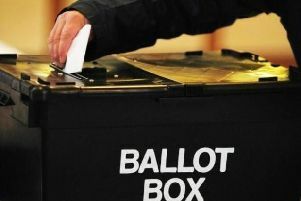 Along with South Kirkby and Moorthorpe Town Councillor Harold Mills, former South Elmsall councillor Fred Hilton and former South Elmsall candidate Martyn Sullivan they have formed the Local and District Party ready for the next district elections in 2014 and town elections in 2015. He said: “Democracy will only work if there is an opposition party but in the South Elmsall, South Kirkby and Upton area all we have is one main party which has been in power for years. One of the issues they are opposed to is the purchase of many former Wakefield Council buildings. He said that Labour may be taking things on that could increase the precept for residents in years to come. Many residents have already supported the new party by attending the meetings they hold on a Saturday at South Elmsall Library, on Barnsley Road. A joint statement from South Elmsall and South Kirkby district Labour party councillors, Steve Tulley, Laurie Harrison and Michelle Collins said: “This group is made up of the same disaffected people who were rejected by the electorate in May, together with disaffected ex-Labour party members – we are talking about the same old faces under a different guise. If anyone wants to get involved with the party they should contact Coun Benson at mail@yourlocalparty.co.uk or call 01977 658609. Visit www.yourlocalparty.co.uk for more details.